Charlotte joined Burnetts in 2016 as a Practice Administration Assistant and was promoted to Secretary providing designated support to the Commercial Property and Agri-Business teams in 2017. 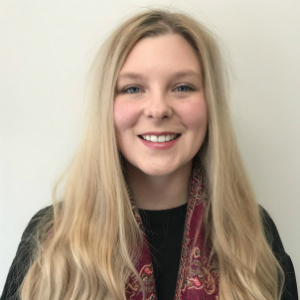 In January 2019, Charlotte was promoted to her current role of Paralegal in the Agribusiness team. As a Paralegal, Charlotte works with land owners and farmers, providing assistance on agricultural transactions including sales, purchases and first registrations. A key part of her role involves liaising with HM Land Registry on issues affecting clients’ applications and calculating and submitting Stamp Duty Land Tax returns. Charlotte also works with insurance providers, arranging indemnity insurance cover for clients and provides support on deeds audits. Before joining Burnetts, Charlotte worked for Atkinson Ritson Solicitors. Currently reading Law at the Open University, Charlotte lives on her family farm just outside Carlisle. She enjoys working with horses, swimming, baking, watching local motorsport events, dog walking and spending time with her god children.